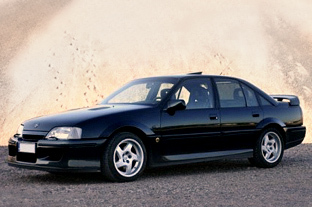 The Vauxhall Lotus Carlton came about after GM purchased Lotus and set their engineers the task of turning the Vauxhall Carlton from a mundane saloon, into a first rate, Porsche humbling saloon. Lotus upped the power to 377 bhp with a 3.6 litre I6 fitted out with two turbos and for several years the Vauxhall Lotus Carlton held the record as the fastest 4 door production saloon, at 178 mph. 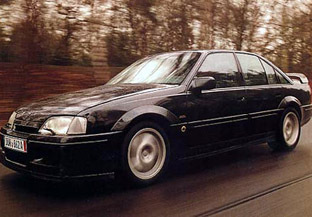 Only 800 examples of the Vauxhall Lotus Carlton were built, and most are in the hands of dedicated collectors. There were two versions-mk1 and mk2, the main difference being an uprated engine in the mk2 as the first engines were not long lasting.